Give a gift of love for animals and celebrate your loved one's birth month! Even when you're not side by side, this personalized dog paw print pendant keeps your four-legged friend close to your heart. 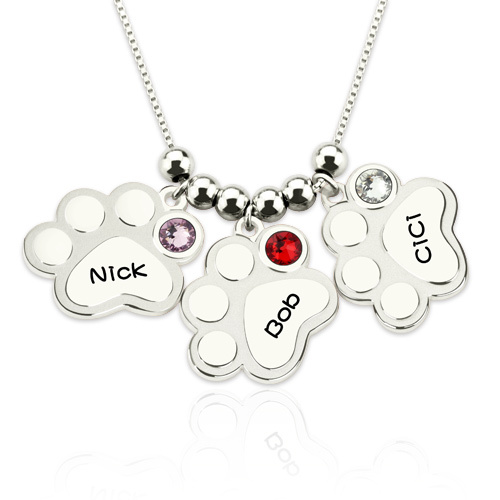 Wear this adorable paw print charm necklace to honor those furry friends who provide unconditional love and endless enjoyment to your life! A perfect gift for cat and dog lovers.